The size and shape of your land will impact the type of house that can be built upon it. So, the first thing we'll need to consider today is what kind of home you're going to want. If you have a rough idea of how much space you desire (for example, do you need a large garden for the kids and pets to run around or do you want a small backyard that's low maintenance? ), you'll be able to find the land that can accommodate it, then choose a home design from there. If you choose the home first, you might struggle to find an adequately sized lot - this may lead to sacrificing something important, like that garden space or an extra room. One of the benefits of buying land in a masterplanned community is the fact that there are lots of different land sizes, shapes and styles in one area - you aren't comparing land across multiple suburbs, which might not have all the amenities you were hoping for. Pick the community you love, then choose land that will complement your lifestyle. Ask your estate manager about local design guidelines though, in case those will impact your preferred aesthetic. Some developers also have partnerships with home builders to provide a faster process and occasionally offer financial incentives (more on this next). How much living space do I require? Do I need any additional rooms, like guest rooms, play rooms or home theatres? If I opt for lots of extra space, can I clean, maintain and furnish it all? What size and type of outdoor garden can I maintain? Defining your needs is the first step to choosing between masterplanned communities. Are you buying off the plan? Buying 'off the plan' means you're signing a contract before the development is finished (or perhaps it is part-finished, but your section is still underway). This is nothing to be alarmed at. You can view all the plans and perform market research like any other land purchase, it's just not ready to build on. This might actually work out in your favour - if you buy now and property prices rise between now and the title being released to you, your land may be worth more by the time you build your home and move in. This puts your resale value up without you needing to act. Of course, it's not a guarantee, but something to research. It also gives you more time to save between buying your land and building your home! Are financial incentives available? As we mentioned, financial incentives are sometimes offered from developers and builders. The most popular of these, according to the April 2018 realestate.com.au Developer Insights Series, are additional free upgrades, discount house prices and discounted additional upgrades. Note: Incentives are great, but shouldn't make or break your decision. It's more important that you buy a house and land that fits your ideal lifestyle and will last you for years to come. If you plan to resell in the future, it's also more important to think about whether your property will increase in value over time, which we cover in our next point. How do prices compare between developers? Where can I get more bang for my buck? Are incentives available, and if so, what are the terms and conditions? Have I considered future resale value and my lifestyle needs? Have I sought professional financial advice? Incentives are great, but having the perfect lifestyle is more important. Even if you aren't planning on selling your home in the future, it's always a possibility. So, it's vital that you do your research to ensure the masterplanned community of your choice will increase in value over time. That way you'll sell the property for a profit, helping fund your next house and perhaps even your future lifestyle (i.e. your retirement). What factors help property value increase? Falling vacancy rates in the area: A shortage in housing often puts an area's prices up. So if your community is full but still highly desirable, there's a chance that by the time you want to sell, the prices will have risen. Desirable home features: Everyone has unique needs, but there are some generally agreed-upon home features that increase property value. Because you're building your home from scratch, you can factor these in now so you don't need to perform renovations later (unless you want to). Desirable features include clean outdoor areas, modern bathrooms and kitchens, lots of natural lighting and anything that will save money (i.e. solar panels). Consider also avoiding unconventional design features or paint schemes, as most buyers prefer neutral colours and simple designs. Nearby amenities: Popular community amenities can really help sell your home. We cover amenities in more detail in our next point. Future developments: Buyers aren't just interested in what has already been built, but what is planned. This could include motorways, schools, or shopping malls. How desirable is my community, or how desirable will it be as it grows? Is it located near popular amenities, either current or planned? Cost-saving features like solar panels may increase a property's resale value. Your community should keep life's necessities close at hand to cut down on the inconvenience and cost of travel. This doesn't just include school and work, but fun and leisure - life's too short not to enjoy the perks of your community. If you could reduce the cost and inconvenience associated with commuting to work, running errands or getting to the doctor when you're sick, you could greatly increase your happiness. Make sure you check out what is planned or in development as well as what exists already. You might find an area lacks one or two amenities now, but they are already in the works. The below video shows an example of one of Satterley's modern community developments that features shops, schools, a gorgeous beach and nearby golf course. What amenities do I want, but not need? What amenities could I live without being in close proximity to? 85 per cent of survey respondents stated that the developer behind a community was important. By this point you should be able to compare masterplanned communities with your needs, so what's left to finalise your choice? The credibility of the developers. In fact, 85 per cent of respondents to realestate.com.au's survey stated that the developer behind a community, not just the community itself, was important. Why is developer credibility so crucial? Buying land and building a home is one of the biggest purchases you will ever make in life, so you must be able to trust that the company you are investing money with will deliver on its promises. That's the key - feeling like you're getting the best deal, that the community will thrive when it's finished, and that you or your family will be safe, happy and prosperous well into the future. How can I check that a company is 'credible'? Hold all relevant qualifications and licences. A long history in the industry. Positive word of mouth reputation. Have a history of previous builds. Have positive reviews on their website. You can find these out by visiting the relevant developers' websites, visiting some of their other communities to inspect the quality, and reading reviews of their business online. Is this a company that has delivered on its past promises? Are this company's past communities happy and healthy? Does my gut tell me this is a trustworthy business? 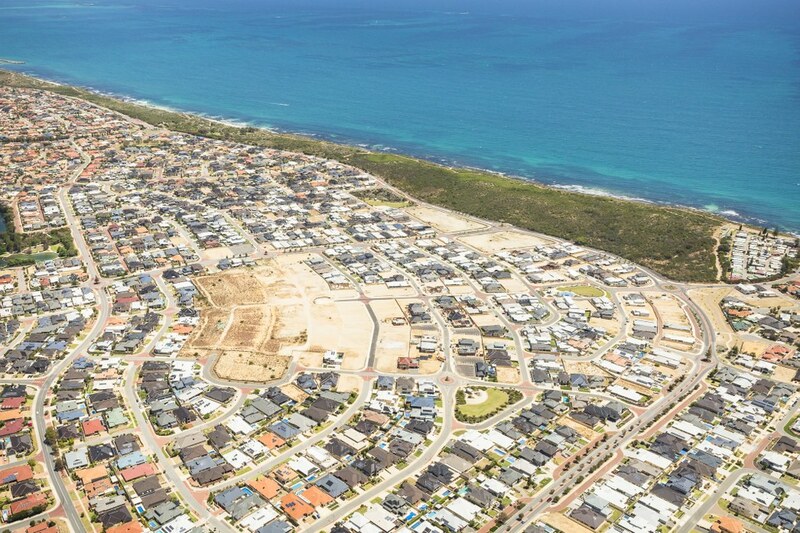 Satterley is one of Australia's leading developers of masterplanned communities, with a history of success in Western Australia, Victoria and Queensland. Since being founded nearly 40 years ago, we've gone on to sell more than 60,000 home sites across the country, making our vibrant communities home to more than 250,000 residents. We purposely build estates to either include or be near key amenities, transport links and employment hubs, not to mention open spaces, parks and playgrounds, shops, and schools. Australians love our masterplanned communities and we're sure you will too. To see what's available in your area, check out our lots for sale today.